Boy have we come a loooong way from just using the classroom weekly newsletter to communicate with our students' parents. Don't get me wrong. Classroom newsletters are still great and have a purpose, but with technology on our computers and smart phones there are some very convenient, quick, and efficient ways to touch base with parents. 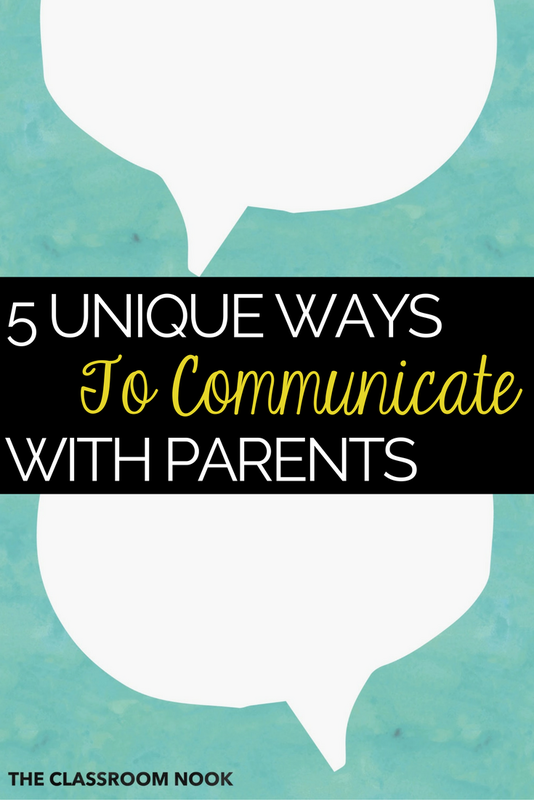 Today I'd like to share 5 unique ways that you can communicate with your students' parents. Perhaps you'll find a new way or two that you'd like to add to your communication repertoire. I don't know why, but I used to think creating a Facebook group was hard. It's not. This summer I started my very first group for teachers who were participating in the 30 Day JUMPStart Challenge. It's been a wonderful way to communicate and share ideas with teachers as they prepared for their school year. And - one of the great ideas that *I* got from that group was to create a Facebook group for your students' parents. 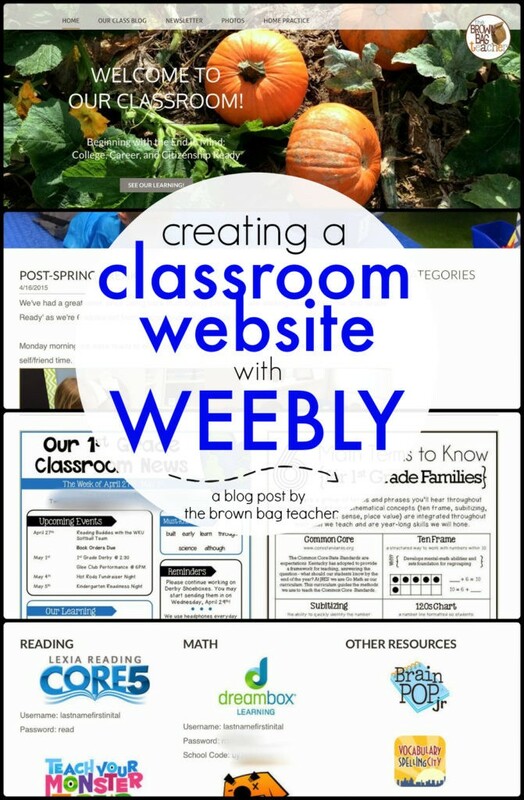 It would be a fabulous way to post pictures of classroom happenings and create a casual dialogue with your students' parents. Log into your Facebook account. Make sure you are on the home page. Along the left-hand side you will see "groups." Facebook will walk you through the information you need to enter. You can either choose to have a closed group or a completely secret group. If you choose closed, others will be able to search and find your group, but will have to ask to join in order to see and participate in the conversation. If you choose secret, no one will be able to search and find your group unless you give them the link. At the beginning of the year, give your students' parents the link to your classroom Facebook group and they can then request to join. Since all parents may not have Facebook, you won't want to use the group to post any super important information. It is more for creating a fun and engaging community with your parents. Oh smart phones - what we would do without you? I recently got an iPhone (my very first one! ), and it would be an understatement to say that my world has changed :). I can pretty much do everything on my phone now, it's amazing. Tabitha from Flap Jack Educational Resources has become one of my virtual mentors in teaching me all the amazing things that I can do with just using my iPhone. She's also got some really great ideas for using your phone for classroom purposes as well. One of those ideas is using the Remind App to send reminders and messages to your students' parents. Check out this tutorial to see how it's done! Another life saver for me, for both personal and business purposes has been using Google Drive to store important files, pictures, and videos that I can access from my phone or any computer or tablet. I love that it is a free service that you have with any gmail account. It's also a great service to use if you want to share these files with others! So - why not use it in the classroom? 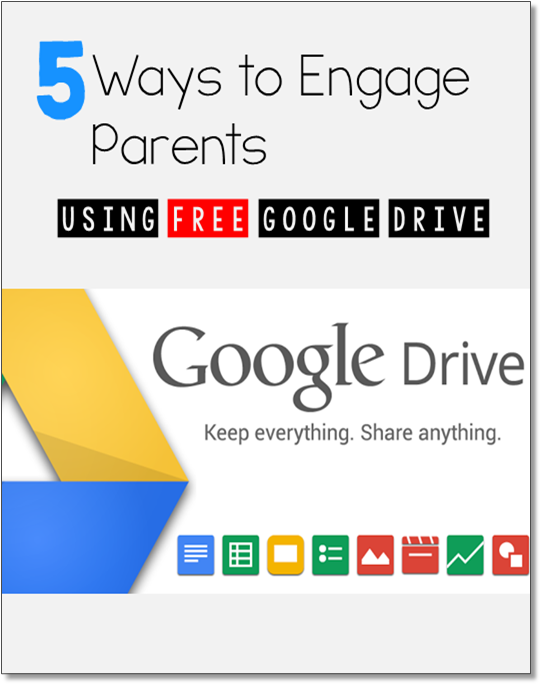 I recently came across a great guest post on Corkboard Connections with 5 ways to use Google Drive for parent engagement. It can be found by clicking the image below. 5 ways I NEVER would have thought of! Number 4 on using it to communicate behavior is one of my faves! Alright - sometimes you just need an old fashion paper note to send home with your students. However, often times, one student needs a reminder about lunch money, another student needs a reminder about parent conferences, while a third needs a reminder about homework or (fill in the blank). Who has time to write out all these notes at the end of the day? 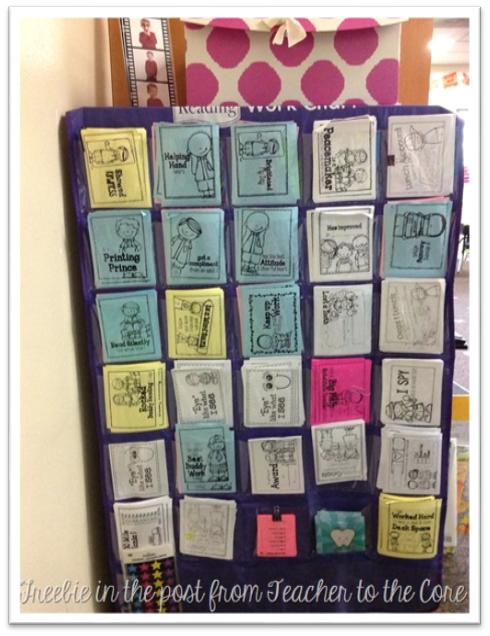 I LOOOOVE this idea from Katie at Teacher to the Core. She came up with 80 parent note reminder cards that she prints out several copies of and stores in a pocket chart. Then, when she needs to pull out a reminder for an individual student, she can find exactly what she's looking for! Boom - grab and go! What a great idea. Just prep before the school year begins and you're good to go! You can also do this with notes of encouragement to send home with your students such as "_______did a great job in math today." So easy and a great time saver! 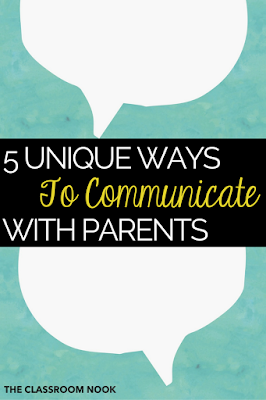 What's your favorite way to communicate with parents?